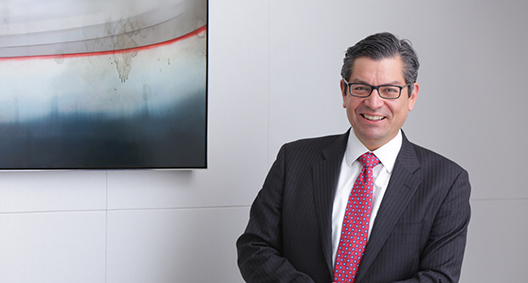 Gonzalo Zeballos focuses on sophisticated cross-border fraud investigations, asset tracing and asset recovery. He works closely with internal and external resources from various disciplines to address jurisdictional challenges, develop innovative investigative tools and implement novel approaches to applying the laws of sovereign states to root out fraud and corruption. Recommended by The Legal 500 2017 in the area of international-litigation, and listed by Who's Who Legal for asset recovery in 2017, he has been involved in litigation, investigations and recovery efforts in dozens of jurisdictions. These include civil and common law jurisdictions and involve civil, criminal and arbitral proceedings. Well-versed in all aspects of international litigation, he often presents on fraud, asset tracing and recovery tools and cross-border investigations. Lead attorney for international recovery efforts of misappropriated assets and related litigation in the representation of Trustee Irving H. Picard for the SIPA liquidation of Bernard L. Madoff Investment Securities LLC. Coordinated with Canadian co-counsel in cross-border asset recovery action for H.M.B. Holdings, a corporate victim of illegal expropriation by a sovereign government. Advised the court-appointed receiver on international aspects relating to misappropriated global assets from international hedge funds created and run by Michael Kenwood Group, LLC. Advised a large Middle Eastern bank during a multinational contract dispute arising from the mortgage-backed securities crisis. Advised a hedge fund client during a breach of contract dispute arising under U.K. law. Successfully represented Zaha Hadid, renowned international architect, in a defamation and trade-libel case. Brian Bash, John Moscow, Oren Warshavsky, Gonzalo Zeballos Listed in "Who's Who Legal"
Involved in the New York office’s collaboration with inMotion, an organization providing free legal services to underprivileged women in New York City. Has worked on cases on behalf of political asylum applicants, and has represented asylum applicants hailing from Africa, Asia, and Latin America.